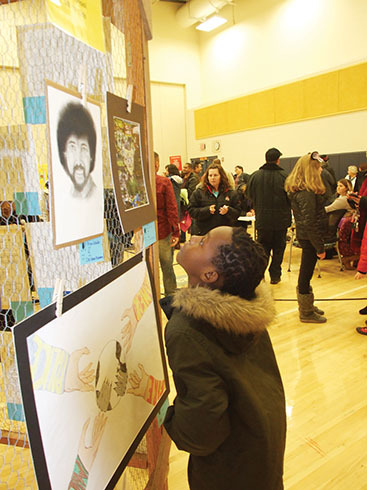 Hundreds of talented students from the South-Western City Schools District had their artwork on display Jan. 10 at the PTA Reflections Art Show at Harmon Elementary School. 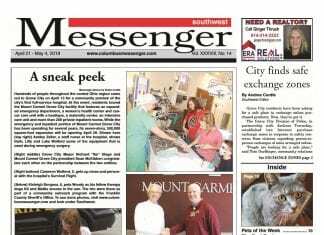 To celebrate their achievement, art lovers in the community came out to view said artwork. 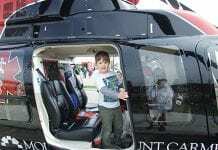 Here are a few scenes captured during the popular event. 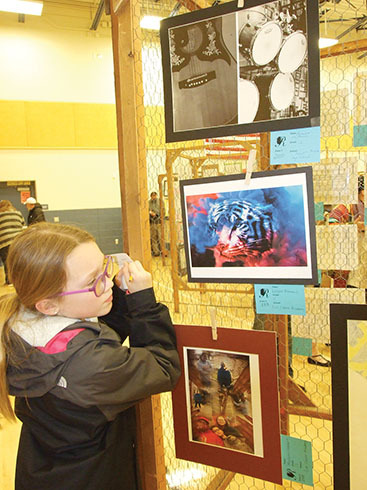 Joie Blackburn, 10, writes down the information listed on the tiger print (created by junior Logan Nommay from the South-Western Career Academy) so she can cast her vote for her favorite piece on display. Bolton Crossing student Justin Dyson goes in for a closer look at SWCA senior Brynn Schaller’s print of artist Bob Ross. 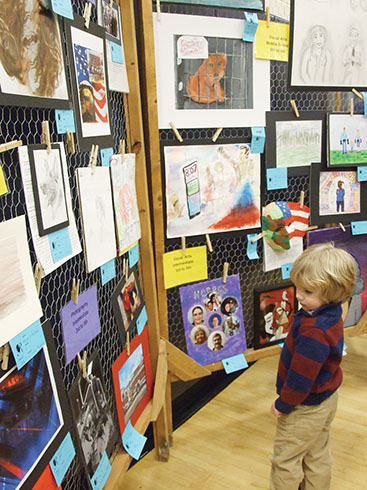 Charles Chaffins, 3, tries to examine each piece on the large wall of artwork. 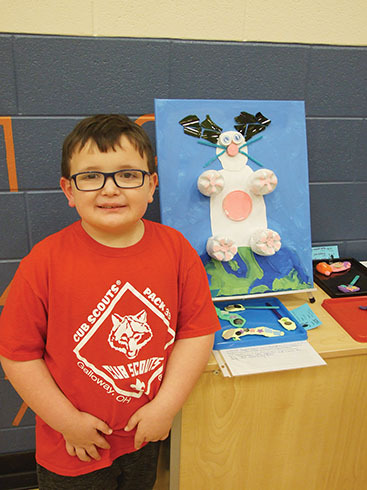 Darryl Tucker, a first grade student at Darby Woods, proudly displays his piece ‘Superhero Saves the Day.’ The 6-year-old conservationist said he made his 3-D mixed media piece out of recycled materials because he wanted the public to be aware of the importance of recycling.